Take I Love You CA Bear with you on vacation! 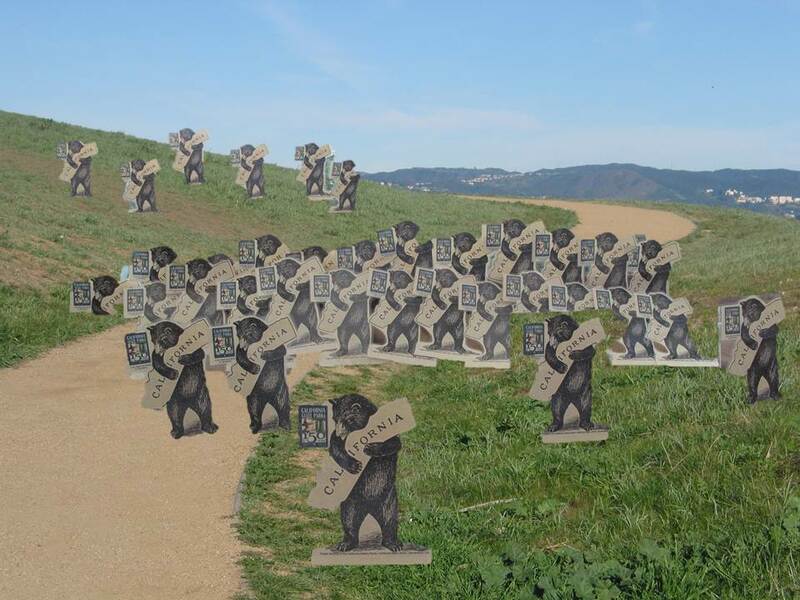 The I Love You CA Bear family is on the adventure of their lifetime! When these bears heard it was the 150th Anniversary of California State Parks in 2014, they decided it was the perfect time to visit, and they want to share their travels with you! You can watch the bears on vacation, or print out your own bear to take with you. What awaits them could possibly be the most fun they have ever had! The Bears pictured all together before they travel to California State Parks all across the state. A unique and official bear has been mailed to parks across the state. Help them build a community of people who care about California's wildlife, natural wonders, cultural history, outstanding recreational opportunities, and open space for all! Take a bear with you on your own adventures! It doesn't have to be to a California State Park, your own backyard or wherever you go will be adventurous enough! Click here to get your very own bear that you can print out. Take your bear everywhere!